At a time when the suicide rate for teenagers is increasing, and the incidence of tick-borne diseases is also increasing, it’s important for parents of young people with Lyme disease to inform themselves on this difficult subject. During my years of working as a hospital physical therapist, I witnessed many patients who suffered such physical and emotional pain that they said death would be a welcome relief. I encountered this most often with traumatic injuries like spinal cord injuries and burn victims. Yet, until Lyme disease struck my own family, I had no idea that it could give rise to the same feelings of despair. That all ended with a bang in 2012, when my daughter’s health seriously deteriorated. 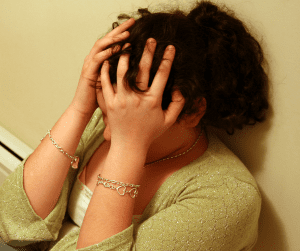 Since then, after years of living with the damage caused by late-diagnosed Lyme and co-infections, my own child suffered a deep depression. Pain, fatigue, and the loss of friendships was extremely difficult. But she says the loss of her personal dreams was the hardest for her to cope with. Suicide is the second leading cause of death for 15-34 year-olds in the United States. In fact, the most recent CDC report shows that suicide rates among teenage girls has more than doubled from 2007 to 2015, while rates for teenage boys and young men has increased 30%. “Nationally overall we have been seeing an increase in suicide rates that is pretty pervasive among all age groups,” said Thomas Simon, PhD, an expert in suicide with the CDC. Overall suicide rates have climbed 28% since 2000. Using epidemiological calculations, Dr. Bransfield estimates that over 1,200 suicides in the US annually that are related to Lyme-associated diseases. To fully understand the true nature of the problem, he proposes “a direct method of acquiring these statistics” on a national scale. 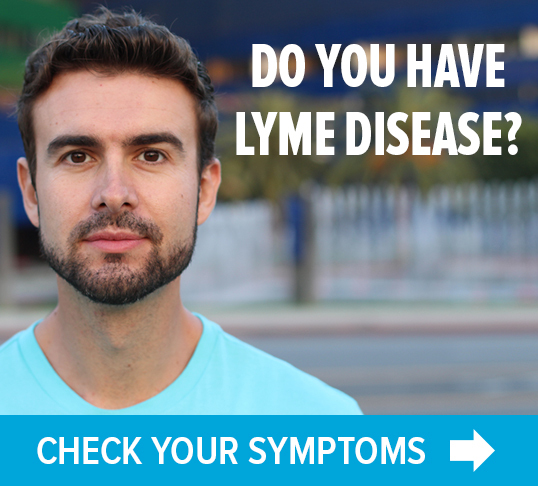 According to a nationwide survey conducted by LymeDisease.org, over 90% of patients with Lyme disease reported that their short-term treatment had failed, resulting in chronic illness, which can have a huge impact on quality of life. In addition, 73% of patients with chronic Lyme disease report fair-to-poor health, giving them a worse quality of life than most other chronic illnesses, including congestive heart failure, diabetes, multiple sclerosis and arthritis. Bransfield’s study demonstrated that the longer treatment was delayed, the worse the patients’ symptoms were— both physical and mental. The average patient in Bransfield’s study was sick for 8.4 years before receiving a proper diagnosis and treatment. For these patients, chronic Lyme disease led to a higher risk of suicide. A 1994 study from Columbia University’s Department of Psychiatry found that patients with chronic Lyme often exhibit symptoms such as paranoia, dementia, bipolar disorder, panic attacks and major depressive disorder. In the absence of help from mainstream medicine, parents of children and teens with Lyme are often forced to seek their own solutions. Some are lucky enough to find a physician experienced in treating the complex conditions that accompany Lyme and associated diseases. In her memoir “Bite Me: How Lyme Disease Stole My Childhood, Made Me Crazy, and Almost Killed Me,” Ally Hilfiger describes how an undiagnosed Lyme infection ruined her childhood. It eventually led to a mental breakdown at 18. Ultimately, a psychiatrist recognized the symptoms of Lyme and helped Hilfiger get appropriate treatment. Unfortunately, treatment for late-stage Lyme disease can be time-consuming and expensive. On top of that, sick children may feel guilty and stressed due to the financial burden their treatment places on the family. Furthermore, during the long course of treatment, children may continue to experience debilitating pain and fatigue. They may feel abandoned by friends who are incapable of understanding their condition. Hopeless and helpless, some of these patients fall into a deep depression. According to Dr. Brian Fallon, a board-certified psychiatrist at Columbia University, for the majority of patients with Lyme disease, pain is the major contributor to long term physical impairment. He says fatigue and depression usually are the major contributors to mental impairment. Fallon found that 45% of patients with symptoms of chronic Lyme meet the criteria for major depression. Dr. Fallon says in some patients, antibiotics will eventually cure the depression. However, in others, the brain appears to be altered by the infection. Patients whose infection has altered their brain chemistry may need psychotherapy and antidepressants. He says that in many cases, treatment for depression also helps with pain. One of the best decisions we made early on in my daughter’s illness was to establish a relationship with a psychologist. In the beginning, therapy provides a safe place for the child to talk. Once you have that relationship established, it acts as a safety net. If a crisis occurs, you have a solid foundation to work with. Waiting to start therapy until after a crisis can be more difficult, because of the lack of energy and hopelessness that typically accompany depression. Though better late than never. In the book “When Your Child Has Lyme Disease: A Parent’s Survival Guide,” psychotherapist Sandra Berenbaum discusses the importance of finding a therapist who is knowledgeable about Lyme and related diseases. “Methods that work well for the general client population may not be effective for Lyme patients. Some may actually be counter-productive,” Berenbaum writes. In-person and online support groups are sources for recommendations of therapists who have experience and knowledge about Lyme disease. Knowledge is power! The MyLymeData study at LymeDisease.org added a decedent survey that allows family members to register the cause of death for their loved one. MyLymeData is the only system in place for tracking patients with Lyme and associated disease who have died by suicide. 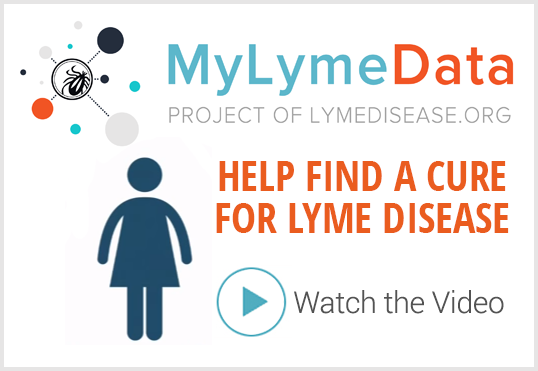 The results from MyLymeData will provide rapid information that can be used by Lyme advocates to address these issues with lawmakers. Nearly a year after my daughter confessed her deepest depression, she is doing much better. Thanks to a team of caring doctors and a lot of hard work on her part, her health is improving. With it, the fog of depression has finally lifted. See our resource page for how to obtain financial assistance for testing, treatment and prescription medications for children with Lyme disease. 3) Tager, Fallon et. al. A Controlled Study of Cognitive Deficits in Children With Chronic Lyme Disease. Nov. 2001. What link between veterans’ suicides and Lyme disease?